The women’s health movement has had a healthy skepticism about all the invasive methods of birth control developed in the last half century--IUD’s and various type of pills. Women stormed the Pill hearings in 1970 because they saw that no women were participating in the research or the government approval process, and they were leery of women taking a powerful drug - it stops the reproductive machine in its tracks - to control fertility. Safe, effective methods of birth control existed that women had used in certain societies for many decades. Lindsay Beyerstein, in her review of Holly Grigg-Spall’s “Sweetening The Pill” seems unaware of our protests, including Barbara Seaman’s explosive work, “The Doctor’s Case Against the Pill”. Our efforts, mostly through the National Women’s Health Network, have continued over the years, forcing the drug companies to improve their inserts and to lower dosages, so that some of the more catastrophic complications that showed up right away have been substantially lowered. 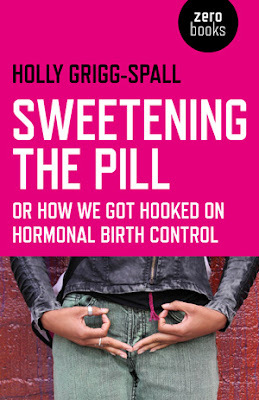 Still, today, no women’s health advocate will dismiss Holly Grigg-Spall’s questions about the way that the Pill has been marketed, the way it’s been pushed by population control organizations in their clinics and the implications of millions of women taking a pill that may change their emotional hard-wiring. Furthermore, the net social result of millions of women walking around having drug-induced feelings of sadness and depression is unfathomable. Feminist health activists’ lack of enthusiasm about the Pill has continued, but women have voted with their feet. They’ve embraced the Pill. Even the harshest critics of the Pill, the Feminist Women’s Health Centers, have given out the Pill freely since they opened their doors in 1973 because women want it. The National Women’s Health Network focuses its efforts on making the Pill as safe as possible, not on restricting its distribution. Regarding screening out women with high risk of complication, we say, “There’s no woman sick enough to justify keeping her from taking the Pill; there’s no woman healthy enough to protect her from suffering severe side effects of the Pill.” We know the realities of our lives, and we respect the calculations any woman makes when she determines what birth control method she will use. After we’ve made sure she has the most up-to-date information available, we fight for her right to choose whatever method she thinks best. We know, from running our women’s clinics, that an inordinate number of women are taking anti-depressants. No one is really doing the kind of research that would give us answers as to what is causing that widespread experience of depression. This statement reads like the drug company’s promotional ad. It’s misleading. When comparing the Pill with non-invasive methods of birth control, they’re about equal in effectiveness when used properly, and about equal when not used properly! Running abortion clinics, we find that about as many women become pregnant taking the Pill as using other methods especially if one takes into consideration the oft-occurring situation where a woman suffers a side-effect of the Pill which causes her to quit and before she can institute a new method, she’s pregnant! She says it’s wonderful that the Pill is a female-controlled form of birth control. When I asked Dr. Hugh Davis, inventor of an IUD, why they hadn’t tried a birth control pill on men, his answer was, “We couldn’t get the (reproductive) tracts.” Even if most women envision themselves as having a career, isn’t the real feminist battle to change society so that having a baby is not a career-derailing event? Or is Grigg-Spall dismissed because perhaps she thinks that today’s woman is not really that thrilled to drop her children off at a day care center so that she can plug through a day that’s as dreary as their father’s? Or maybe Beyerstein is unaware of the science of demography, or the machinations of industrialists, or the schemes of social planners who are funded by elite foundations? She should read Betty Friedan who spent two years looking at the files of public relations firms and interviewed the manufacturers who hired them to discover how much the “Feminine Mystique” was created by the post World-War II media to convince American women to stay home and buy more household furnishings and appliances to support “patriarchal capitalism”. Oh, where is Betty when we need her! My favorite explanation is that Beyerstein’s intemperate review comes from her fear that Grigg-Spall wants to make women, including herself, revel in her bodily procreative functions, thus making her into an incubator. (Beyerstein makes a gratuitous side swipe against women who want to breast feed or not have epidurals.) I don’t get that implication. I believe that Grigg-Spall is sharing her concern that the social pressures and inequality of opportunity that women have that leads them to take the Pill is resulting in their enduring years of feeling sub-par. She is impressing the reader with the enormity of the monkey wrench that the Pill is throwing into the functioning of our bodies. Beyerstein dismisses Grigg-Spall’s experiences as irrelevant, and insists that only scientific studies, (note: funded by the manufacturers), are to be trusted. Well, the second wave of feminism was founded on the rock of “the personal is political”. It was when we sat in a circle and shared our individual stories that we realized our position in the whole scheme of things. I do not think that Grigg-Spall has “proven” that the Pill is creating generations of Stepford Wives, but I wish that there was some research designed to find out what’s going on with women today who sometimes seem to lose their revolutionary zeal. Taking a hormone-like drug that makes one feel blue may not be the whole explanation, but it deserves looking into. Lastly, is it inaccurate for Grigg-Spall to say that the Pill is equivalent to castration? Well, no one would deny that it is temporarily castrating, that is, when a woman is taking the Pill, her gonads are not working. But, over a period of years, the Pill can permanently stop the ovary from ovulating. Now, that’s castration. Maybe that doesn’t bother some people. But, remember, hormones, which are manufactured in the ovary circulate through the blood and go into each and every cell of our body. These incredibly tiny molecules (about which we know appallingly little) cause changes in each cell, different depending on the function of the cell. These changes are poorly understood and new ones are being discovered every day. I would hope that Slate finds another reviewer who understands that birth control and abortion are hotly-debated topics that are hotly debated global population policy forum. A woman’s decision regarding her sexuality and reproduction are private decisions, however a battle rages between the camp which wants to engineer women’s choices such that they choose to have fewer children, the camp which wants to engineer those choices in the direction of fewer children, and the women’s health movement which is working to change society so that women can have true choice, because society would provide support for any child they would have. Without that perspective, Slate finds itself in the company of the first camp. Get RU486 for Termination of pregnancy.